Yith Library is an online password manager. It's a project I have been working on lately with my friend Lorenzo Gil, it's free software and you can find the code on GitHub (links at the end). The idea is to have a secure online password storage. There is a server that takes care of authentication and stores the passwords, and there are clients that can access to these passwords. The clients will always handle encryption locally, so over the network the secrets always travel using SSL, and encrypted with AES under a master password only you know. This way your passwords always stay safe. The name of the project comes from the great horror tale The Shadow Out of Time, a novella by a personal favorite of mine, mister H. P. Lovecraft. 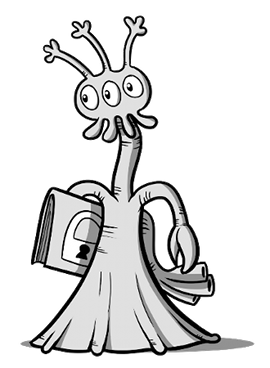 In the novella Lovecraft tells about the Great Race of Yith and their gigantic library, where they store the histories of uncounted alien races, including us. It's a great book, read it. Give it a try, all feedback is welcome!